So far, 2014 has been an amazing year for Twitter. Following their 2013 IPO, the company has been working nonstop to make the social media platform more engaging for users and advertisers alike. Twitter has already made major updates to the look of profiles and joined forces with Amazon to make shopping on Twitter easier. 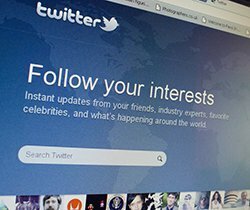 Last week, Twitter added to the list of new features by rolling out a new remarketing feature. Following months of testing, Twitter has made a remarketing tool available for all advertisers. Advertisers on Twitter can now create a conversion tracking snippet from the Twitter Ads user interface. These tags can be used for website remarketing. This will allow advertisers to target ads to Twitter users who have shown an interest in the brand by visiting a website. For the uninitiated, remarketing is an advertising tool that lets marketers target ads to the people who have already visited their site by adding a code to their browser profile cookie. Remarketing is extremely useful for several reasons. First, the audience of the content is more likely to be receptive to ads since they searched for the site site on their own before. A person who recently went to a shoe website is more likely to click an ad than someone who saw the ad because they happened to fit a target demographic. Remarketing also gives business owners a second chance to reach the people who visited their website. Highlighting marketing specials or information a visitor didn’t act on during their first visit to a site may be enough to bring consumers back for a second visit. Setting up this new feature is relatively simple. The advertiser creates a website tag from the Twitter Ads UI. Next, the tag is then placed on pages of the website that are to be used for remarketing. This is essentially all there is to it. Now, when the marketer uses Twitter to promote content or accounts, Twitter Ads will show that content to people who have already visited the site, along with other selected audiences. Twitter has been testing this feature for several months and they report that the results have been good for the brands involved in the beta tests. The apparel retailer Betabrand reported that remarketing allowed them to decrease their cost per acquisition by 63 percent. As Twitter rolls out this new feature, they have made a strong effort to ensure that Twitter users have options for privacy. Twitter users can opt out of all ads just by unchecking the “Promoted Content” box in their privacy settings. Twitter also supports Do Not Track software on browsers, so if a user has DNT enabled, Twitter wouldn’t be able to use remarketing since the user wouldn’t have a browser cookie ID. Finally, Twitter also has a minimum audience size. This means a marketer can’t target their so specifically that very few people would qualify. Adding remarketing to their advertising options is a smart move for Twitter since it will make the platform more useful to business owners. It’s further evidence that Twitter is a platform with a lot of gas left in the engine, as was discussed in a previous article. Marketers who are using promoted content on Twitter should take advantage of the new remarketing features immediately. Targeting website visitor is a great way to increase the reach of content and to get more conversions from Twitter ads.